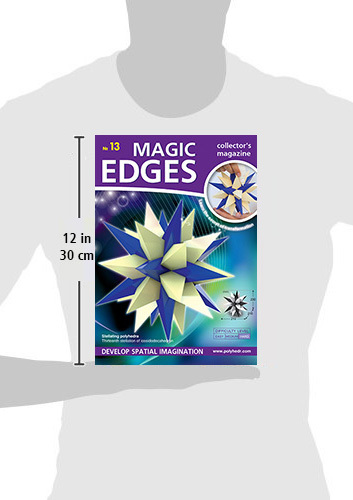 Set to assemble "Thirteenth stellation of icosidodecahedron". 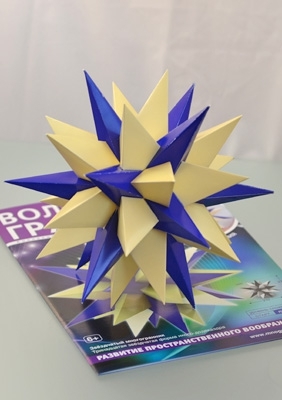 ❶ Kit to assemble polyhedron "Thirteenth stellation of icosidodecahedron". The geometric dimensions of the assembled polyhedron is 210x210x230 mm. Difficulty level: Hard. 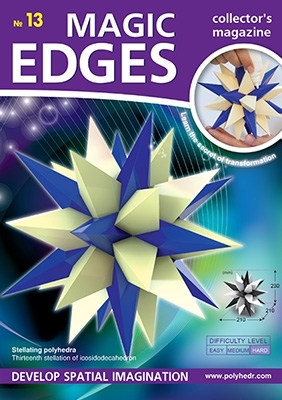 It is recommended to assemble models with lower difficulty level first to obtain some experience and additional skills. 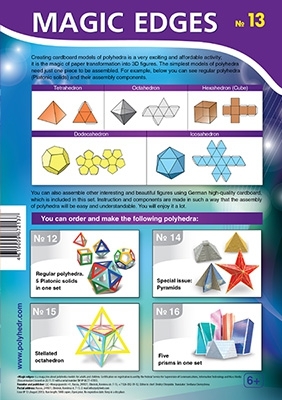 ✦ article - the history of the discovery of polyhedra. ❸ The details are made of colored cardboard with a lacquer coating, they are precut and bent. Every issue are packed in heavy-duty polypropylene envelopes, A4 format (210x297 mm). © 2011 - 2019 LLC "Mnogogranniki". All rights reserved.